As Europe turns it’s back on religion the rest of the world are looking in the other direction. 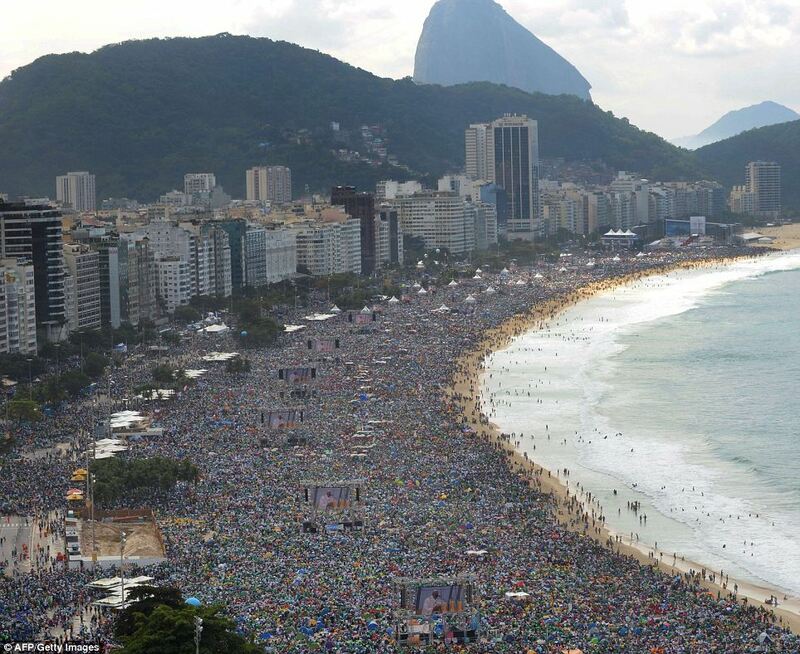 Pope Francis I completed a week of events in Rio de Janeiro, Brazil for the Roman Catholic Church’s World Youth Day with a celebration of Mass on Rio’s famous Copacabana Beach. Three million people attended. Rock stars and even the President of the USA could only dream of such adoring supporters at their concerts and rallies. 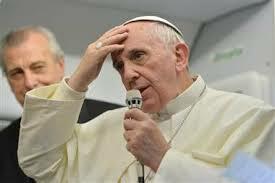 This Papal words on homosexuality is a break from the hard-line rhetoric of Pope John Paul II and Pope Benedict XIV, which I welcome, and is a signal from the current pontiff he knows there are gay priests but as long as they remain celibate it doesn’t bother him. The Pope may well be the leader of 1.2 billion Catholics but he is also a sharp political operator, which you would expect from a Head of State, and, along with leading the faithful, his mission is to shake up one of the oldest institutions on Earth. His papacy should be very interesting indeed. Categories: Politics, Vatican | Tags: Brazil, Copacabana Beach, Pope Francis I, Rio, Roman Catholic Church, Vatican, World Youth Day | Permalink. My wife and I recently returned from a Mediterranean tour of sorts, having visited Ibiza in the Balearics, Rome and Sardinia. I’ve written about Ibiza before and not much has changed. We love the island but not the young British tourists who frequent it with us; there are a few older British tourists who behave perfectly well but the vast majority are from the sub-class I talked about in my post last year. The Ibiza Government is very much aware the damage the British sub-class are doing to the island’s long-term prosperity, and the offence they cause local Ibizans, and have introduced a bylaw banning people (read “the British sub-class”) from walking around with their tops off, urinating in the street and offering sexual services (yep, that was in the advisory note provided to all tourists on arrival!). The Balearics Government know perfectly well the sub-class behaviour is putting off higher-earning tourists like my wife and I from visiting Ibiza and I am sad to say they will be right for a number of years until they start to enforce the bylaw, which is blatantly ignored. That said Ibiza is a lovely island outside of the centre of San Antoni and we frequented our favourite restaurant Es Rebost several times where the owner recognised us from a year ago. We then flew on to Rome. Wow, what a contrast. Sometimes, I wonder how certain countries ever managed to reach the EU bar for membership. Southern Italy is more like North Africa than Continental Europe: chaos and aggression (compared to us sedate Brits) reigns. But, without a doubt, it is a buzzing life-filled city and one of the world’s greatest. I was chatting with a Roman colleague of mine before we visited Rome and – although I had visited as a child, it is never the same experience as an adult – asked how it compared to London. “Oh, no it’s not international like London, it is Italian and Roman!”. Well, I’m not too sure. The entire city is packed to the brim with tourists to the extent it feels like they outnumber the indigenous population. The phenomenon in Rome, unlike in Paris, are the vast blocks of meandering tourist groups, now wired up to the latest technology with the guide chuntering into an earphones-style microphone followed by up to 50 rampaging tourists listening into the pearls of wisdom with earphone earpieces like a group of iPod wearing teenagers. They get in the way everywhere! You get past one herd and another turns the corner making it feel like you are constantly entering Liverpool Street Station as an inter-city train has just arrived packed with commuters. It’s disappointing because whilst Paris feels really French all of the time, Rome does not ooze Italian as you would like. It oozes a tourist theme park with some of the greatest architecture on Earth thrown into the background. Another aspect of Rome is the aggressive street hawkers – they will try and sell you anything from plastic balls to a budgie they have trained to sit on your shoulder! All the tourists guides mention pickpockets and – yes – like in any big city always look out for thieves but all Lonely Planet and others do is create constant paranoia and the feeling you need to keep looking over your shoulder. Removing half the street hawkers would remove a lot of the aggression and anxiety – oh and ban tourists group over ten people! After Rome, we flew on to Sardinia. As I commented on Facebook at the time, the Italian way of doing things reared its head. We booked our flight tickets with Alitalia six months in advance, communication from the airline was poor but we got to the airport two hours before for a domestic flight where the stated check-in time is less than an hour. And then the Alitalia representative said: “Oh, you’re on standby only”. Despite nobody from the airline ever telling us, we were expected to telepathically know to check-in online and because we hadn’t the plane was now full because Alitalia massively overbooks. The Italians of course knew this but the foreign tourists including a nice French couple queuing with us didn’t. Once my wife had vented her anger to the check-in man, a manager suddenly found of way of by-passing the system and getting us onto the flight after all. Only in Italy. Sardinia was exquisite. Tourists companies love to show pictures of crystal clear water and white sandy beaches and nine times out of ten the reality does not live up to the airbrushed photos. Well, with Sardinia no photography trickery is required: the sea is the deepest blue and the sand is the whitest and finest there is. Gorgeous. Sardinia may only be a few hundred miles east of Ibiza but it feels a million miles away: Sardinia is where the Italians go on holiday. English is almost the second language in Rome but Sardinia is not the place to go and shout “Speak English! CAN I HAVE CHIPS WITH THAT!”. A lot of the locals don’t speak English at all and those that do have only a beginners grasp (so swot up on your Italian if you decide to visit). A great contrast to Ibiza where the traditional culture has had to be discarded to serve the sub-class their Stella and chips! 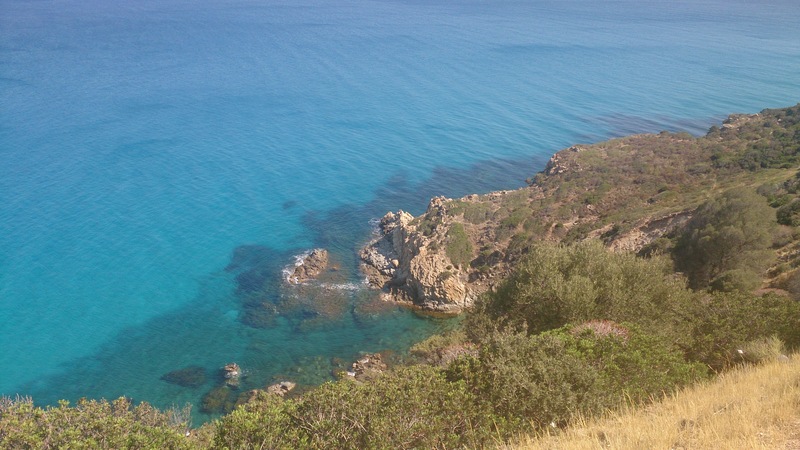 Sardinia is not just about beaches. The island is large (about the size of Wales) and has beautiful countryside to match the gorgeous beaches with near-Alpine forests, mountains, rolling vineyards, gorges and caves. One week did not do her justice – we’ll definitely be going back to Sardinia for a longer break here next time. As a sidebar, the difference between EU countries was brought into stark focus whilst we were chatting to my Roman colleague on the Italian mainland. Working is not a choice but a necessity in Italy. The Italian Government will only assist you with handouts for six months if you become unemployed and then that’s it, nothing more. Compare that to the UK, where if you know how to play the system, you never have to do a day’s work in your life and can entirely rely on the taxpayer to keep you in house and home for decades! This was positively encouraged by the Labour Party under Blair and Brown and then when you couple this with their immigration policy between 1997-2010 is it no wonder not only London feels more international than British but the whole of the UK does too? *Due to my wife being ill during our Rome trip, we ended up visiting St Peter’s Basilica, the only place where security do enforce the covering of shoulders rules, on a separate day, and as fate would have it this was the one day she forgot to bring her shawl – all was sorted out though. I can’t understand why the rule is not enforced in the sanctity of the Sistine Chapel and the place where Popes are elected though. Categories: Politics, Uncategorized | Tags: Balearics, British sub-class, Ibiza, Italy, Mediterranean, Paris, Rome, Sardinia, Spain, Vatican | Permalink. 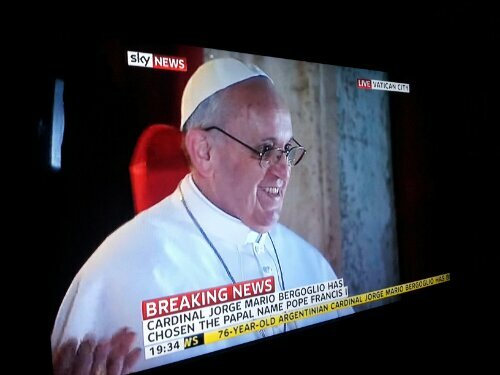 His Holiness Pope Francis I has asked the crowds in St Peter’s Square at the Vatican to pray for him. The Pope was elected by the Cardinals on the fifth ballot in the Conclave. Francis I prayed for his predecessor Benedict XVI and then blessed the crowd, 1.2 billion Catholics and the world. Categories: Uncategorized | Tags: Catholic Church, Pope, Vatican | Permalink. White smoke has emerged from the chimney of the Sistine Chapel. The next Pope will soon appear at a the balcony overlooking St Peter’s Square at the Vatican. Categories: Uncategorized | Tags: Vatican | Permalink. 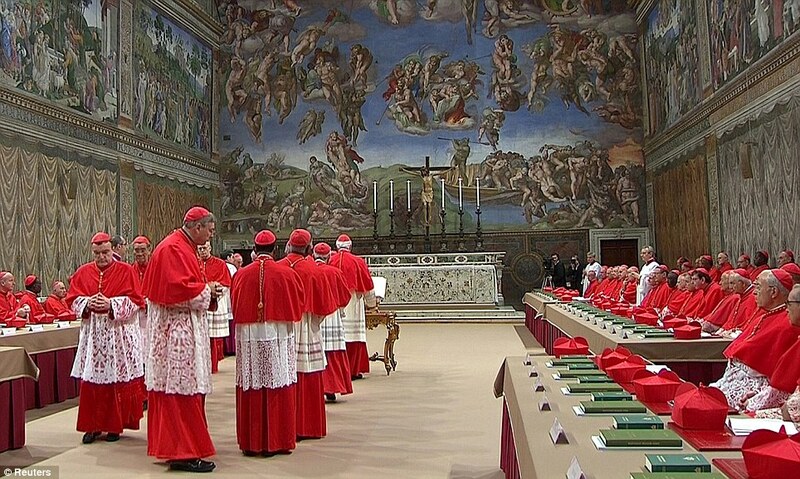 The 115 Cardinals who have today been ensconced in the magnificent surroundings of the Sistine Chapel have undertaken the single vote allowed on Day 1 of the Papal Conclave, which, as expected, has failed to choose the next Pope. Black smoke blew from the special chimney erected on the roof of the Sistine Chapel indicating one Cardinal present did not have two-thirds of the vote. The Cardinals have now returned to their hotel within Vatican City, especially built by Benedict XVI, to accommodate all Cardinals under 80 who can vote in a Conclave. They will return to the Sistine Chapel in the morning. Tomorrow and every forthcoming day of the Conclave (if more days are required), the Cardinals will vote twice in the morning and twice in the afternoon until one of their numbers has 77 votes or more. Security is very tight. The Chapel was swept for listening and visual devices before the Conclave, telephones are banned and mobile phone jamming devices are in use by Vatican security. 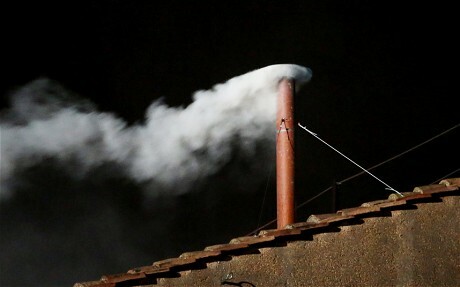 We will know when the next Pope is elected when white smoke is seen from the chimney of the Sistine Chapel accompanied by the pealing of the bells of St Peter’s. If the candidate accepts, he will then become the next Pope and leader of the world’s 1.2 billion Roman Catholics. Categories: Pope, Vatican | Tags: Conclave, Pope, Sistine Chapel, Vatican | Permalink. 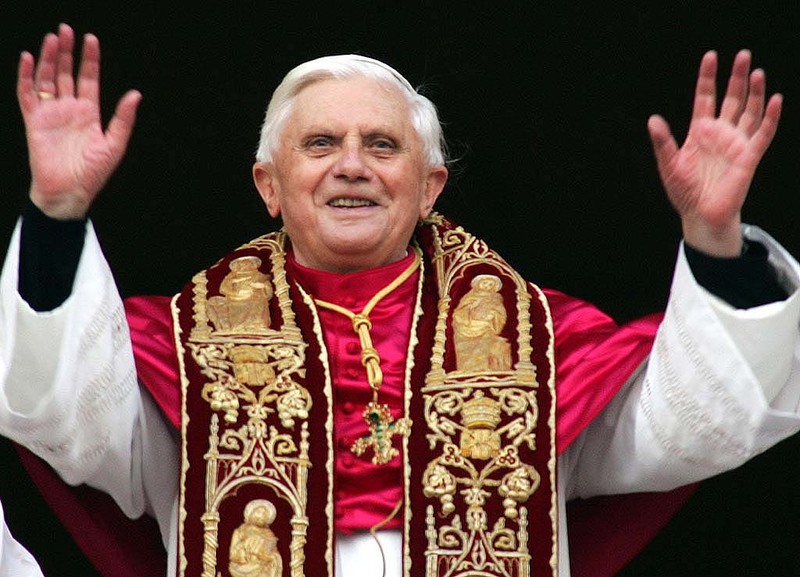 Categories: Pope Benedict XVI | Tags: Holy See, Pope Benedict XVI, resignation, Vatican | Permalink. 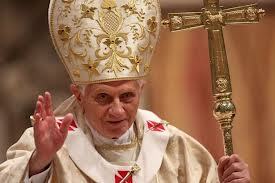 His Holiness Pope Benedict XVI has shocked the world by resigning from the papacy. This is the first time in 600 years a pope has resigned. The pontiff and Head of State of the Holy See will step down on 28th February with the Vatican saying it expects to elect a new Pope before Easter. After having repeatedly examined my conscience before God, I have come to the certainty that my strengths due to an advanced age are no longer suited to an adequate exercise of the Petrine ministry. I am well aware that this ministry, due to its essential spiriual nature, must be carried out not only by words and deeds but no less with prayer and suffering. Categories: Pope Benedict XVI | Tags: Catholic Church, Holy See, Pope Benedict XVI, resignation, Vatican | Permalink.